What do do when the British system of democracy fails to ensure a smooth and easy ride for each and every government bill or personal initiative of the prime minister? Why, simply change the rules of the game, and meddle with the constitution so the only answer that anyone can give is an enthusiastic “yes!”. This is essentially what David Cameron is now proposing to do, with some of the most nakedly autocratic changes to our legislature in recent memory. 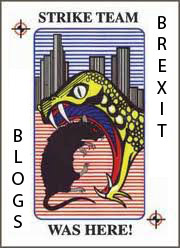 David Cameron has been secretly drawing up a plan to bypass an increasingly hostile anti-Tory majority in the House of Lords, which is threatening to wreak havoc with his legislative plans. The UK prime minister will use the recent bust-up with the Lords on tax-credit reform as a chance to neuter the powers of the upper house. Lord Strathclyde, the Tory grandee charged by Mr Cameron with reviewing the role of peers, is set to propose this month that the Lords should lose its veto over delegated or “secondary” legislation, such as the measure implementing tax-credit cuts. Once that veto is removed, Mr Cameron is expected to step up his government’s increasing use of delegated legislation — also known as statutory instruments — to ram contentious measures through the upper house. “If the House of Commons insisted, that would be it,” said one senior Tory. In other words, the upper chamber of our national legislature should exist only to serve as an ermine-clad rubber stamp to the will of the prime minister. Sure, Cameron is happy to let the Lords poke around and pontificate on minor legislation of no real importance, just to give the appearance of a well-functioning and accountable system. But when it comes to the big ticket items involving finance, foreign or military affairs, the House of Lords should remain about as weak and toothless as its average, septuagenarian member. In their outrage at being thwarted on tax credits and defied with regard to the voting age in the EU referendum, the government appears to have forgotten that scrutinising hasty legislation, thinking independently of the House of Commons and checking the “elected dictatorship” of the executive is exactly what an upper legislative chamber is supposed to do. If the composition of the upper house exactly mirrored that of the lower house, and voted in exactly the same way, there would be no point to its existence. This friction and tension between the two institutions forms one of the key checks and balances in our democracy – it is not something to be casually tossed aside whenever the government of the day finds its preferred pathway blocked. There’s a dangerous chicken and egg dynamic at play when it comes to the House of Lords. The fact that the Lords are not democratically elected effectively gives cover to authoritarian governments who want to impose their will on the country unchecked. “None of these people were elected, while we just won the last general election”, governments can say. “Therefore we should be allowed to overrule or bypass the Lords in order to do the will of the people”. But this also creates a powerful incentive to delay attempts to make the Lords more democratic, because to do so would add legitimacy to the body and make it much harder to steamroller ill-considered legislation past reasonable scrutiny and on to the statute books. The last attempt at positive House of Lords reform stalled early on during the coalition government of 2010-2015, after the Liberal Democrat initiative was blocked by a group of recalcitrant Tory MPs, and there will certainly be no further attempt now that the Conservatives govern alone. It is certainly hard to argue that today’s House of Lords – made up of unelected grandees, failed MPs, influential party donors and the intolerable Lords Spiritual – should have the right to delay or veto government legislation. The current system is by definition undemocratic. But shamefully, David Cameron’s answer is not to make the House of Lords a powerful and democratically legitimate upper chamber, as he should, but rather to use the current state of the Lords as a convenient argument to help his government avoid much-needed scrutiny. As this blog has been arguing for three years now, Britain urgently needs a full constitutional convention so that the weighty questions of how we govern ourselves and where power resides can be tackled, resolved and formalised in a document. Equality for the four home nations in terms of devolved power. A fresh look at pushing power down to the lowest possible level, preferably the individual. Empowering cities, counties and regions (building on George Osborne’s Northern Powerhouse, but going much further). More elected mayors. Term limits for politicians and ministers. A pre-determined order of prime ministerial succession, so that the leader of our country is not chosen behind closed doors in the event that the unthinkable happens. 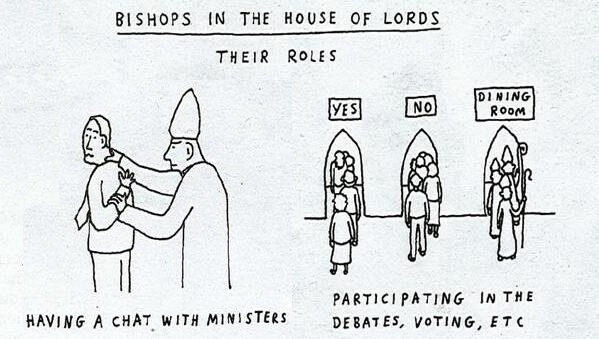 House of Lords reform. House of Commons reform. Electronic voting in parliament to save vast amounts of valuable time. Perhaps splitting the executive from the legislature, so that MPs can concentrate on their jobs without being distracted by attempts to climb the greasy pole. All of these ideas and more should be on the table, with a view to fixing ancient democratic deficits while preserving all of the best of that which makes Britain great. But what we have at the moment is piecemeal constitutional reform on demand – not with a view to promoting democracy or ensuring a well governed country, but simply in order to solve whatever problem happens to be confronting the government of the day. This is no way for politicians to govern, and it is no way to run a modern nation state. Unfortunately, issues of governance and constitutional reform rarely bring people out onto the streets in protest, despite being of far more long term consequence to us all than relatively trifling matters like NHS junior doctors pay, HS2 or tax credits. But all concerned citizens should fight David Cameron’s latest lazy attempt at constitutional reform on the fly with every weapon at their disposal. First we must stop the damage already being done. But that is not enough. It is not enough to stop David Cameron’s government from inflicting further vandalism on Britain’s constitution. The time has come to take a more holistic view of these matters, instead of the myopic, short-termist approach which thinks only in terms of immediate political advantage. Serving MPs and ministers are obviously the last people who can be expected to give fair and impartial input to these decisions, though there is obviously a wealth of experience and knowledge held by current parliamentarians which must absolutely be harnessed. So we need to go directly to the people, however much the elites may recoil at the thought. No more piecemeal reform. Britain doesn’t need any more opportunistic constitutional tricks. There may be little appetite for it – particularly when other current issues seem to loom larger, and when any discussion about who we are as a country provokes more awkward silences than expressions of patriotism – but we need real reform, through a full constitutional convention of the United Kingdom. The longer we wait to drag Britain’s patchwork constitutional settlement half way to meeting the people, the less democratic – and more ungovernable – our country will become. Imagine if a private sector firm had twenty six seats in the upper house of the British Parliament and possessed the ability to debate bills, lobby government ministers and even vote on Acts of Parliament – all without receiving a single vote from anyone in the United Kingdom. That organisation would be counting its undeserved blessings, and doing its best to keep a low profile and avoid drawing attention to their wildly over-privileged position. If the RMT possessed nearly thirty votes in Parliament and used them to thwart key transport bills or trade union legislation, there would rightly be an uproar. If Tesco had their own parliamentary caucus who voted against minimum wage increases and greater employee protection rights, people would march on Westminster with burning torches to evict the voice of the Evil Corporations. And yet when the Church of England enjoys the exact same privilege – twenty six Lords Spiritual who sit in the House of Lords and exert influence over our democracy in the name of the established church – there is a deafening silence. If it suddenly feels as though there are more loud-mouthed juveniles wandering about during the daytime, it is because both the nation’s schools and the House of Commons have wrapped up their business and gone home for the summer holiday. But while no one should begrudge our young people or their harried teachers a much-deserved break, Westminster’s politicians are returning to their constituencies with few solid accomplishments to their credit, and with the very effectiveness of Parliament itself now in question. While the world is captivated by the latest slaughter in Israel and Gaza, and scrambles to respond to Russia’s aggressive expansionism and the downing of flight MH17, a number of far less dramatic but equally intractable problems continue to chip away at British democracy and our political institutions. Normally, these “dull” issues only see the light of day at election time – at which point everyone stops to wring their hands about how terrible it is that so few people bothered to vote, or (heresy of heresies) that they voted for UKIP – but a pair of articles in the Spectator and at Conservative Home sound an early warning that we would all do well to heed before we get distracted by the 2015 general election campaign. Most of those leaving are not doing so because they are past retirement age. Sir George Young might be 73, but William Hague, Andrew Lansley and David Willetts are only in their fifties and Greg Barker is a mere 48. When they go, they will take expertise and experience that the Commons desperately needs to do its job properly. 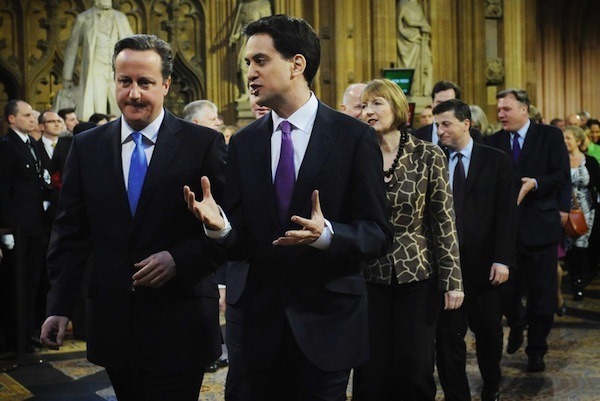 Former ministers play a particular role in the Commons’ ability to scrutinise what the government is doing. Although the details of each ministerial case are different, Forsyth correctly taps into an increasing sense among many current and aspiring MPs that the only goal worth shooting for is a top-level Cabinet position, and that any other trajectory (a brief tenure as a junior minister or a few terms on the backbenches) is an unacceptable outcome for their political career. This emphasis on youth precludes people having had a long career outside of politics. One doesn’t have to agree with the former minister who says that ‘we have the worst of all worlds — people who aspire only to be managers but can’t manage’ to think that it is unfortunate that the ambitious feel they have to stand for office before they have had time to reach the top of another profession. This complaint ties in very strongly with this blog’s own concern at the lack of real ‘citizen politicians’, people whose sense of civic duty compels them to take a mid- or late-career break to sit in the House of Commons representing their constituents for just one or two terms of office. Of course there are always a handful of one-hit wonders, but most one-term departures are a result of losing re-election, scandal, failing to achieve work/life balance or bitterness that plans for rapid promotion and the acquisition of power and prestige did not come to fruition. Indeed, an MP voluntarily leaving Parliament for a reason other than these typical motivations is almost guaranteed to be newsworthy, as it was when Conservative MP Dan Byles, of the 2010 intake, announced his decision not to seek re-election. And instances of British political candidates pledging upfront to serve only a single term or a set number of terms are almost non-existent. Forsyth’s twin solutions are quite radical – he proposes increasing constituency sizes to dramatically cut the number of MPs to around the 400 mark, which would make it harder for them to be coerced into wasting time going to battle for individual constituents and their personal problems, something which better falls under the remit of local government. (It should, however, be noted that US congressional districts are as much as ten times larger than UK constituencies, and American representatives are still expected to fulfil this role). But ultimately, Forsyth believes it may be necessary to split the executive from the legislature and impose a separation of powers in Britain once and for all. This really is quite visionary stuff, and would form part of the comprehensive UK-wide constitutional reform that Semi-Partisan Sam has long advocated. If the legislature and the executive were separate, the quality and effectiveness of the House of Commons would be less polluted by the presence of young whippersnappers who regarded their seats and duties to their constituents as a mere springboard to higher office. The opposition to such a split would be immense and the details would need to be worked out – would all government positions be purged from the Commons, necessitating a separate election for Prime Minister, for example – but it is a fascinating idea worthy of serious discussion. Meanwhile, Mark Wallace at Conservative Home has the House of Lords in his sights, arguing that the size of the upper chamber (rapidly nearing 1000 peers) is too large, too inefficient and so stuffed with “cronies and failed politicians” that the ability of the chamber’s subject matter experts to properly scrutinise legislation is severely limited. The Mail‘s description of many appointees as “cronies and failed politicians” is too often correct – we are meant to get experts, but a lot of the time we get party apparatchiks, trade union officials and the great and good from Whitehall and the media. For every great debate, like that on assisted dying, there are a dozen in which the prevailing ideological trends of our left wing establishment are recited as fact. It’s hard to argue with that assessment. Semi-Partisan Sam was in the public gallery at the House of Lords on Wednesday, and was shocked by the perfunctory laziness with which Oral Questions was rushed through, the sloppy way in which the self-regulating peers kept (or rather didn’t keep) order, and the sheer amount of timewasting that takes place as the House resolves itself into a committee, out of a committee or divides for a vote (mechanics that are rarely seen by the British people as the House of Lords proceedings tend to be shown only in highlight reels by the BBC). Quite why many of the peers filling the benches for Oral Questions were there at all was a mystery, given their disinterested faces and sleepy postures – until one remembers the £300 daily allowance. We do agree on a starting point, though: the numbers must be reduced to make the House functional. David Steel’s proposals to require members to commit to being active, working Peers or face expulsion and to introduce an age limit both have merit and would go some way towards fixing the problem. Yes, it would. We still see the problem of peers “clocking in” to Parliament to be eligible for their daily allowance, while otherwise doing nothing to contribute to the workings of the institution or the democratic process. Accepting an ennoblement should be contingent on making a commitment to turn up for work and do the job. The current situation – where there are life terms, no upper age limits, no requirement to actually do any work and no simple procedure for removing lazy or criminal peers – is a virtual incentive for poor performance and represents the antithesis to a well functioning upper chamber. None of these very unsexy constitutional issues are likely to set the world on fire, not when so many pressing international human tragedies are doing such a fine job of keeping it aflame in the worst possible way. But we in Britain have a nasty habit of ignoring pressing questions about how we want to govern ourselves and make decisions, allowing them to smoulder untended in the background until events cause them to suddenly burst to life in a wildfire of public outrage. Think back to 2010, and the pompous outrage that met the formation of a Conservative-led coalition government that “nobody voted for”. It’s certainly true that there was no box on the ballot paper marked “Cameron & Clegg Double Act”, and so in that strict sense the plaintiffs are correct. But we all went into that 2010 general election knowing (or deliberately choosing to remain ignorant of) the way that our voting system worked, and that a hung parliament was a possibility. If the people do not have the proactivity or the attention span to think about these possibilities and make their preferences known beforehand, there are no grounds for complaint when Sir Gus O’Donnell and other senior civil service mandarins facilitate a resolution of their own behind closed doors. In the same way, we all know (or deliberately choose to remain ignorant about) the variable calibre of politicians that are currently attracted to Westminster, and the hazy unwritten rules and conventions which govern Parliament’s workings. But as well as being cognisant of the problem, we are also now armed with a few radical suggestions for digging ourselves out of our democratic deficit. With a small window before the 2015 general election campaign to get these issues debated and make them part of the policy discussion before the parties publish their manifestos, advocates of constitutional reform should see this moment as a rare opportunity.